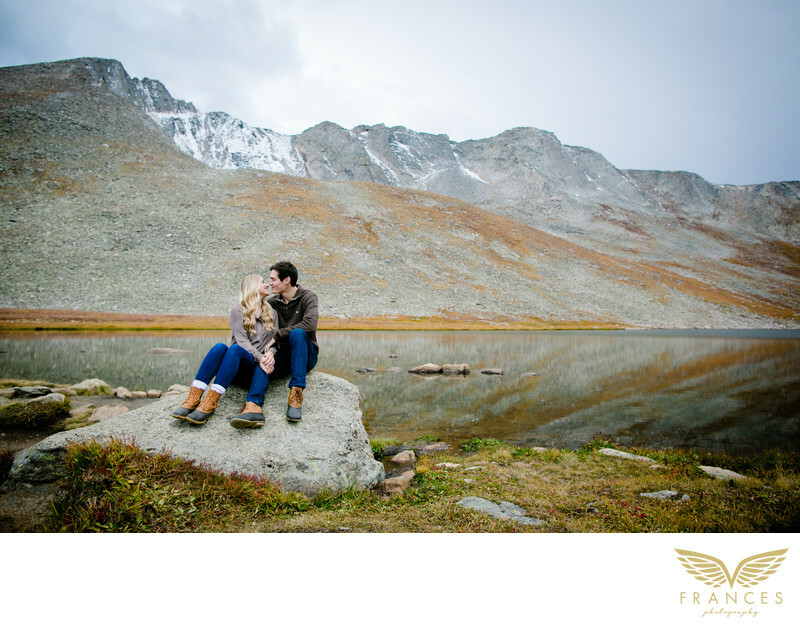 Colorado Engagement Session: Frances Photography: Colorado is known for its beauty, unpredictable weather, and gorgeous mountains. Although photographing in Colorado can be challenging compared to other states because of the incredibly harsh light, the Columbine State offers some of the most gorgeous backgrounds for weddings and engagement sessions. From downtown Denver, to the lakes, mountains and flatirons, Colorado is simply stunning. (We may be a little biased!). This is a Colorado engagement sessions that where I was able to capture the beauty of the couple and the State. Morgan and Will live in Texas, but will be exchanged their vows at the Cherokee Ranch & Castle in Sedalia, CO. With their love for Colorado, Morgan and Will wanted to have their engagement session express what Colorado is all about… mountains and breathtaking scenery! I took the couple to Mount Evans for their Colorado engagement session and captured some of the most beautiful views (and couples) that I have ever seen. Morgan and Will were dressed for Colorado weather – I just loved their matching duck boots!